Onomea Despite New York Times attention and practically being across the street from my apt, I have always been resistant to Onomea. Maybe it’s all the starch. Maybe it’s the small menu. There are really only five entrees and drinks-wise, three beers and two rums that you can mix with fruit juices like strawberry-guava. The mom-and-pop vibe works, though. Being NYC, the portions are reasonable and there’s a salad taking up one quadrant of the dish, a green anomaly you wouldn’t see sullying a plate lunch in Hawaii. 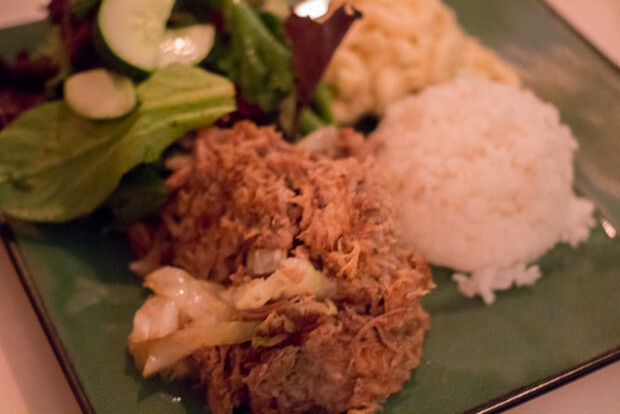 The kalua pig, pulled roast pork shoulder that’s not wildly dissimilar to North Carolina bbq, feels like mixed-up picnic fare when taken with bites of rice and macaroni salad. The appetizers will have to wait–my dining companion doesn’t eat pork or raw fish, squelching any shared poke or spam musubi. 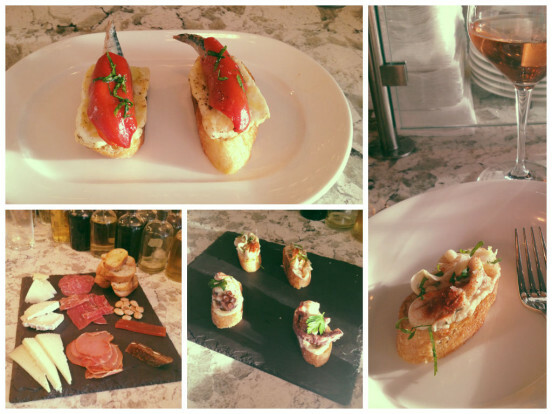 Donostia With Huertas just a few avenues over, the East Village is turning into a pintxos destination. I’ve yet to see anyone capture the San Sebastian spirit fully, but at least we’re getting closer. Txakoli is on tap and montaditos are the showpiece, displayed on the counter yet prepared to order. Grilled halloumi and mackerel breaks the cheese with fish rule deliciously while thick aioli topped with curling octopus legs, and razor clams anchored by a white bean puree both present seafood on bread in a more traditional manner. Of course, you can also just have Spanish charcuterie and cheese. Uma’s I’ve never been down with the whole still burgeoning Rockaways scene, but sometimes you acquiesce. Uzbeki food seemed like an odd choice for the neighborhood, odd enough to try. The service and food were a little wonky, which wasn’t unexpected considering the lackadaisical energy heavy in the air. 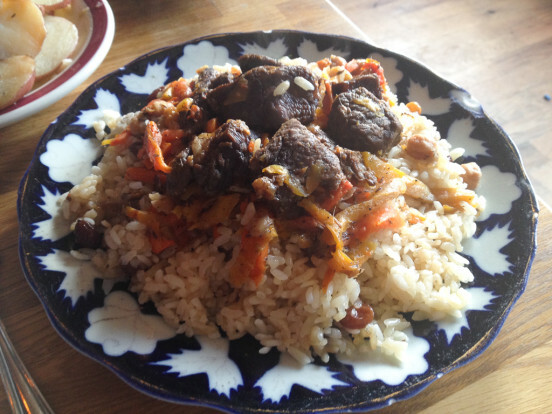 The beef in the plov was tender, not too lean and almost lamb-like (the meat I really wanted) in flavor. The rice, though, was just shy of fully cooked, creating a chew that nearly reminded me of the grit that kept turning up in my mouth after sitting on the windy beach near a crumbling dune. That said, I would still go back. It’s a popular place and nearly nothing on the menu is over $10.